OK then, let’s make it a SMART Goal. This is supposedly the Holy Grail of goal setting. We’ll make it Specific, Measurable, Attainable, Relevant, and Time Bound. Hey we are getting better. Now we have a goal that will surely will work. In my research, SMART goals have a higher success rate than ordinary goals. Unfortunately, SMART goals rely on willpower and willpower is faulty at best. Some motivated people can muster enough willpower to see a SMART goal through for 30, 60, or even 90 days. These people may have great success with this type of goal setting. . . in the short term. Goals require great focus, and absolute diligence, but if you are willing to put in the effort, you can make some significant changes in your life with a well planned goal. However, by definition, a goal is an action taken over a specific time (time bound). Once this time is up, you’ll need to set another goal to move forward. This is where goal setting often fails. Trying to do a goal a second time requires a whole new level of willpower. You’ll get burned out and unmotivated trying to do the same thing again. Ultimately, it’s usually just a matter of time before the best planned goals fail. In my life, I’ve had wonderful success with goal setting. I’ve lost weight, got into shape, and created amazing things. Goals usually work for their intended purpose if I’m willing to put in the time and effort for completion. However, willpower and motivation always catch up. That’s when I’ll set a new goal, a different way. This helps, but ultimately my willpower has limits. When it’s gone, my goal is finished. As I look back over my life, goal setting has played a significant role. They have certainly helped me with many tasks. Yet when I look at what has made the most significance in my life, it’s not goals or resolutions. It’s simply creating good habits. Unlike time bound goals, good habits have no expiration. Month after month, year after year, a good habit can help you move to success. Habits work because they require very little motivation or willpower. A good habit becomes automatic. In my life habits have helped me. . . These simple habits have had major consequences over the years. Simply changing the habit of watching TV daily into writing everyday, has led to over a thousand posts on this blog and the publication of six different books. Goals helped me plan out what I wanted to do, but it was a daily habit of writing that got me there. I got into the habit of listening to audio books while I commuted to work, instead of listening to the radio. By changing this one simple habit, I was able to listen to over 200 business oriented books and podcasts, that I would never have had the time to do if I had tried to read them at home. This type of habit change is what I call a resolution habit. Simply, you make a resolution to do something, and change a habit to accomplish it. It takes time to create a new habit. Researchers have found that it takes an average of 66 days to effectively change or create a new habit. This is MUCH longer than the 21 days that we have all heard about over the years. The good news is this. If you can muster the willpower to do the new habit (action) for 66 days or ten weeks you’ll find that the willpower and motivation needed to do the action drops dramatically. The action becomes automatic and you soon don’t have to consciously think about it any longer. Think about what this means in the coming year. If you can change a habit over ten weeks, you can effectively change five habits in one year. Imagine five habits you would like to change or create in the coming year and what that would mean for your personal success. 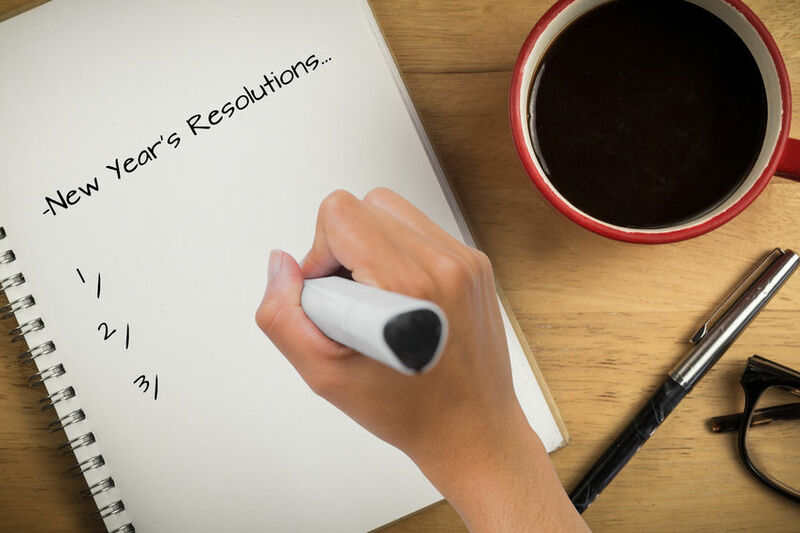 In our next post I’ll give you some tools and ideas to create amazing resolution habits that can change your life. . . long term. In the meantime, let me know some habits you’d like to create in the comments below.